Hi Guys , Paytm is 100% caring it’s customers by Giving cash back offers, Add money offers etc. Now again they are back with new promocode offer. 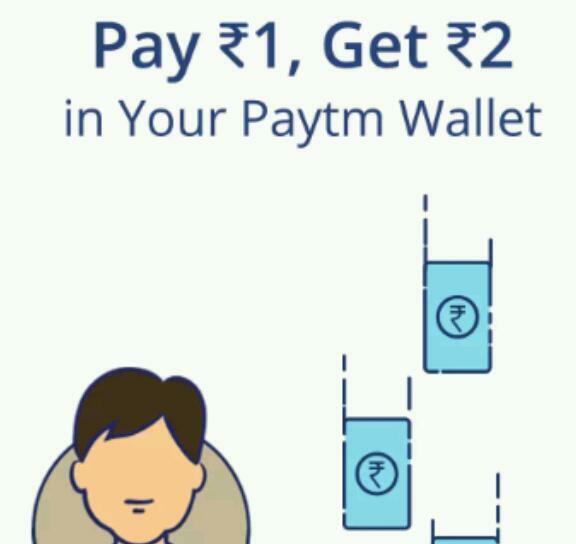 In which Pay ₹1 & Get ₹2 In Paytm Wallet Instantly , And You Can Do 2 Times In 1 Account. So grab this loot before expire! This time You can earn Free paytm cash by paying Rs.1 and use this trick in all your Paytm accounts for more earning.